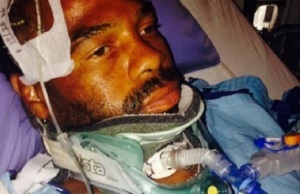 Matthysse-Olusegun: A Title Eliminator to Nowhere? Jr. welterweight contenders Lucas Matthysse (31-2, 29 KOs) and Ajose Olusegun (30-0, 14 KOs) will headline Saturday’s Showtime Championship Boxing broadcast, beginning at 9 PM EST/6 PM PST, live from the Hard Rock Hotel and Casino in Las Vegas, Nevada. Matthysse and Olusegun, who last September won an official WBC title eliminator bout with Ali Chebah but has yet to be given the opportunity to fight for that title, will be vying for the “Interim WBC jr. welterweight title”. Matthysse is the more experienced of the two, having been in with Devon Alexander, Zab Judah, Humberto Soto, and DeMarcus Corley. While Matthysse came up short against Judah and Alexander (and many feel he should have gotten the nod in both fights), he dominated Corley and Soto. Like fellow Argentinean slugger, Marcos Maidana, Lucas Matthysse is heavy-handed and aggressive. He’s slightly more polished than Maidana, as evidenced by his highly competitive efforts against mobile boxers like Judah and Alexander, whereas Maidana struggled mightily against Alexander. Olusegun has built his record trouncing members of the British club scene before his victory over the serviceable, but less-than-stellar Ali Chebah last September. Olusegun throws wide, wild punches and relies on pressure to overwhelm his opponents. In Matthysse he has an opponent with elite-level experience who is rugged enough to go to war, but skilled enough (but maybe not willing) to outbox him. As noted earlier, Olusegun has spent the better part of the last year waiting for his shot at the WBC jr. welterweight (140 pound) title, but politics have kept him sitting on the sidelines while Erik Morales and Danny Garcia have been granted one optional and Golden-Boy-exclusive optional defense after another. After Morales lost his title (in an optional defense) to Garcia, Amir Khan was pitted against new belt-holder Danny Garcia in a rare title unification fight. After Garcia knocked Khan out in July, Morales opted to invoke his rematch clause and push Olusegun back onto the sidelines. 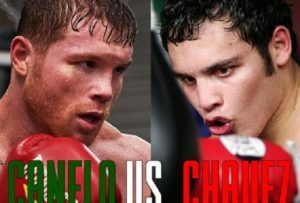 For Olusegun, Saturday night’s fight may very well be another “title eliminator to nowhere”, as a victory might only earn him another lengthy stay on the inactive list while Garcia or Morales moves on to more lucrative options. Should Matthysse win on Saturday, he may actually get a shot at Garcia or Morales, as he’s promoted by Golden Boy, who controls both Garcia and Morales. But as we all know, nothing in boxing is certain, and even Lucas Matthysse, who can drop a donkey with one solid punch, isn’t absolutely guaranteed a shot at Garcia or Morales, who may view the Argentinean as too high a risk. Ugly politics and the timeless tactic of sanctioning bodies running interference for a promoter may very well leave both Ajose Olusegun and Lucas Matthysse fighting in a title eliminator to nowhere. 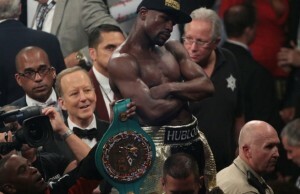 Just ask Vanes Martirosyan, Erislandy Lara, and James Kirkland how they’ve fared as winners of WBC eliminators for the right to fight for Canelo Alvarez’s jr. middleweight title. 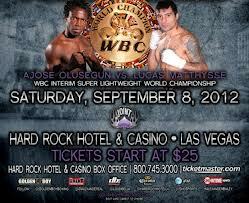 Sleazy boxing politics aside, fans should be in for a treat when Matthysse and Olusegun square off on Saturday night. As the tired old saying goes; styles make fights. Matthysse’s take-no-prisoners, heavy-handed approach and Olusegun’s wild pressure tactics should combine to produce fireworks. Matthysse’s best weapon is his straight right hand, which he has the ability to loop and throw a hook when needed. He doesn’t have very fast hands, but he’ll often throw his right hand with a jab set-up, catching his opponents off guard. His left hook carries some pop as well, but it is more of an arm-punch at times when he fails to turn it over all the way. Regardless, Matthysse carries eye-popping power in both hands. Defensively he is open to be countered, but he uses just enough head movement to make himself less than a completely stationary target. Olusegun will be there to be hit. As stated earlier, you can see his punches coming from a mile away. He doesn’t have standout power, but power is not his game, pressure is his game. At this point in his career it is unlikely Olusegun will suddenly tighten up his punches, and Matthysse’s straight right hand will be his undoing in the fight. Expect a late stoppage for Matthysse, most likely around the ninth or tenth round. His straighter, more accurate punches will win out over the wide open punches of Olusegun, and as the fight wears on Matthysse’s punches will set Olusegun down a few times before the referee intervenes. You can follow Tim on Twitter, where he’s taking offers from those willing to give him membership in their exclusive writers’ clubs in exchange for his puppy-dog loyalty and a comprehensive re-tweet package, at www.twitter.com/TheTimHarrison, or you can send detailed secret handshake instructions and limited edition writers’ club decoder rings to timharrison65@gmail.com.